One church was broken into Tuesday night, but police say nothing appears to have been stolen. WATERVILLE — Police are investigating a burglary and two attempted burglaries that occurred Tuesday night at three churches. 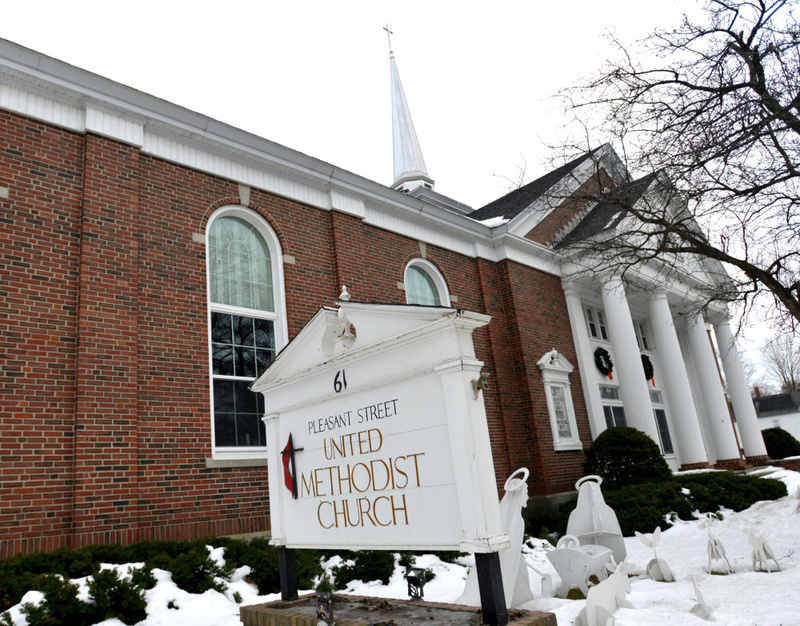 Waterville police Detective Damon Lefferts said the Pleasant Street United Methodist Church was broken into Tuesday night. Although entry was gained, Lefferts said it appeared nothing had been stolen, and the only damage had been to the door and its lock. The First Baptist Church on Park Street and the St. Joseph Maronite Catholic Church on Appleton Street were targeted as well. The doors were damaged at those two churches, but they were not broken into. “It’s an ongoing investigation at all three (churches) right now,” Lefferts said. “I think they were probably trying to find something to support themselves,” he said. Lefferts said the three churches were the only three that had reported burglaries. The churches are all within half a mile of each other. Thom Blackstone, the pastor at the Pleasant Street United Methodist Church, said whoever broke in was probably looking for cash. The back door was gouged and the lock was pried off, he said, which is how the burglar gained access. From there, the intruder went to the church office and forced it open. However, Blackstone said the church doesn’t keep money in the office. He said the only real damage done was to the back door, which was repaired Wednesday morning. The lock cost about $700 to fix. He said at some point the door probably will have to be sanded and refinished. Blackstone said nothing like that had happened before at the church, and that it was surprising when it was discovered. He said he had seen break-ins at other churches in the past, and it was often “the same story” — that is, the burglar comes in but leaves quickly and empty-handed. “We’re not usually a good target. Churches typically don’t keep cash,” he said.